BrainStation has an established community of web developers and UX designers across North America – but after hearing mounting requests for data science, they’re launching a Full-Time Data Science Program at their campuses in Toronto, Vancouver, and online. We sat down with BrainStation’s Education Product Manager, Nicola Lochead, and Lead Data Science Educator, Jeremy Gray, to learn about what applicants need to know to ace the admissions process, where their curriculum falls in the “Python vs. R” debate, and their advice to start transitioning into a data science career. The Data Science Program is launching in Toronto in June 2018, and in Vancouver and online in Fall. What are each of your backgrounds and roles at BrainStation? Nicola: I am the manager of education product, so I ideate and manage the creation of new offerings, and oversee BrainStation’s current portfolio of education products. I work with experts like Jeremy, to develop our programs and make sure they are focused on specific skills that are actually being used within the industry. I also make sure our education methods stimulate and develop students to be able to immediately add value in their field once they graduate. Jeremy: I am the lead educator for the Full-Time Data Science Program at BrainStation. Previously, I was working at a data science company which focused on retail analytics. There I was developing models in Python, presenting results to clients, and training our team to make sure we are all up-to-date. When the course begins, I will be leading the lessons and making sure students get hands-on experience. BrainStation has been teaching full-time programs in Web Development and UX design for some time. Why is now a good time to launch a data science program in Canada? Nicola: You cannot ignore how significantly the data industry is growing across North America. There are a staggering number of roles available that require data science and data analytics skills. It’s predicted that by 2020, 2.4 million jobs will require data science and analytics skills. So there is huge demand and new job categories being created. At BrainStation, we want to make sure we are teaching the most in-demand skills, and assisting in solving the digital skills gaps. We have also been teaching part-time data science and data analytics classes, and have seen huge demand. We launch the full-time program on June 18 in Toronto, and at our Vancouver and Online campuses this Fall. Can a student get the same outcomes from the part-time and full-time BrainStation data science courses? Nicola: No. While all the data courses cover the analytics process, SQL, Tableau, and key tools that you need, the difference in understanding that you can get from a full-time program is a world apart from a part-time program. The full-time program is designed for people looking to transition their careers and find a role in the data field. It’s 400 hours, fully immersive, and includes career services. A part-time course is 30 hours, so people who come to those programs are not quitting their jobs or completely dedicating themselves to learn that tool, it’s more about advancing their current career track versus completely transitioning their career. 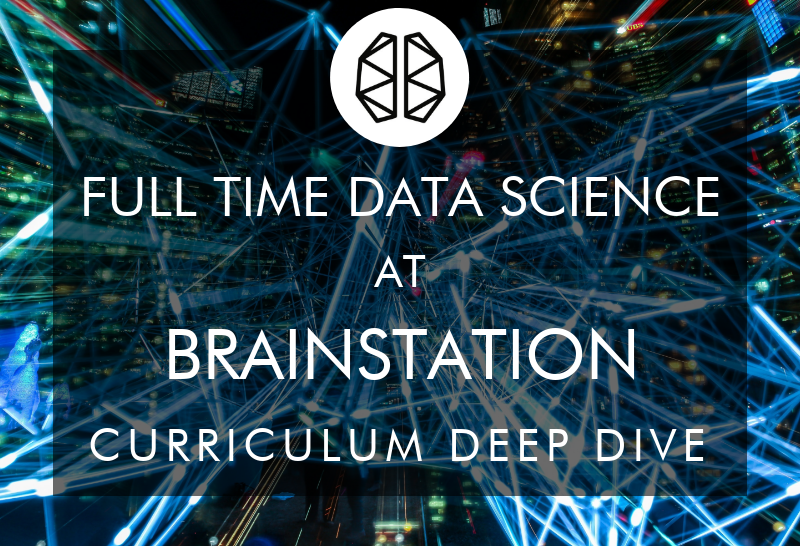 What are you looking for in an applicant to the BrainStation Full Time Data Science Program? Are there any prerequisites? Jeremy: We’re mainly looking for people willing and able to take on the challenge of a bootcamp, and dedicated to learning. Due to the challenging nature of the program, all students are required to have a university or college diploma upon admission. Right now, we see university graduates looking to add to their quantitative skills, or people looking for a career transformation. So far, students enrolling in the class range from undergraduates to people with PhDs, mostly from STEM fields, but that is not a prerequisite. Nicola: This is quite a technical program, so we have an admissions process with a couple of different phases to make sure students entering the program are fully aware of the challenges that lie ahead, and fully ready to go. We assess students’ understanding of basic math and statistics, because that’s a pretty significant portion of what we’ll cover throughout the program. Tell me more about the admissions process. How do you assess those technical skills? Jeremy: We have a prep course where we give students a taste of the course material. They get access to our online portal, some educational content, and a unit project. We ask them to analyze a data set, put together a report, and give us reasoning to justify their report. Following completion of the admissions challenge, students are interviewed by our admissions team to discuss their background, their confidence in working through the challenge, and ensure the potential student is a fit for the program. Nicola: We have a standardized admissions process across all our full-time programs – we want to make sure students will be successful. During the process, students can ask questions, and we ask students about how they like to learn and how they felt during the prep course to make sure they are fully prepared. Which technologies are you teaching in the Full-Time Data Science Program and why? Did your team have a debate about teaching Python versus R? Jeremy: When you teach a bootcamp like this, you need to strike a good balance between depth and breadth. 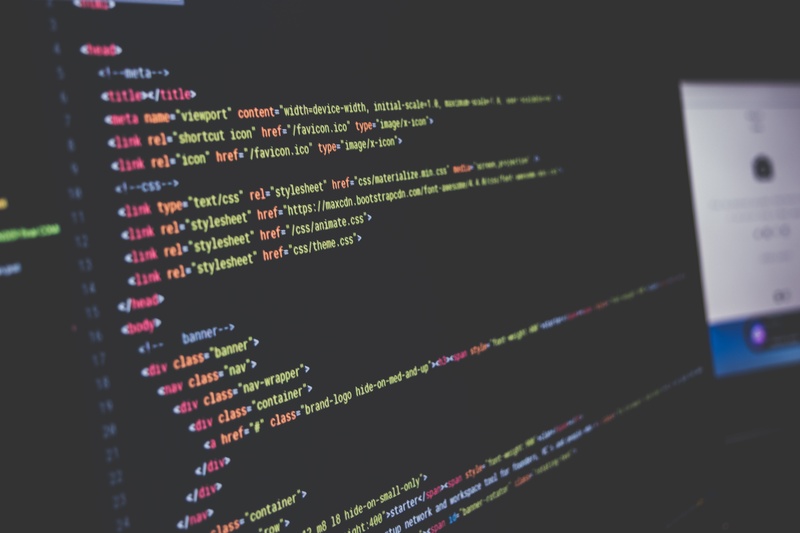 We’ve chosen to include a thorough intro to SQL, R, some dashboarding softwares, and other useful tools like Openrefine, using the command line, connecting to a server, and Git for version control. For the main curriculum, we’re teaching Python. The data science community gets really worked up about whether R or Python is the better language. I did my Ph.D. at the University of Auckland, which is where the language R was originally designed and developed, so I have a deep background in it. I am fluent in both R and Python, as is the other BrainStation Data Science Program instructor. We will give students enough information to use R and do basic visualizations and models, but we chose to go more in-depth in Python because it’s a more versatile programming language outside of the data science world. What is the learning style in the Full-Time Data Science Program? How does this differ for online vs in-person students? Nicola: For the 10 weeks of the course, the schedule runs from 10am to 6pm. It’s very hands-on and students have plenty of one-on-one time with instructors to solidify their knowledge. We break up the day into a number of parts, each of which targets a different learning style, to make sure we hit each student’s strengths. The day typically begins with a lecture or a group lab. Each lecture is tied to a practical application, whether that be a code along, a lab, an activity, or going through examples so that once students are working on assignments, they already have practical experience. We also have pair programming sessions where students work together, which is something they will do in the industry. There is also complementary material in the BrainStation learning portal so students can continue to solidify their knowledge outside of the classroom. The online bootcamp is similar to the structure of the in-person immersive. Our students are shocked by how community-oriented our online learning options are. It is a live classroom, students are on video, and can break into groups. A lot of what we accomplish in-person transfers well into online. Can you give an example of a project that students work on in the Full-Time Data Science Program? Jeremy: We’re trying to make the course as project-focused as possible. We have projects related to a range of industries including e-commerce, marketing, finance, retail, and government. A specific example: we have a partnership with a large local firm, that has provided us with raw data from their data science team, which our students can use to carry out market basket analysis. BrainStation students will create the same models that are used at the company in production, put together a recommendation system, try to find items that are commonly bought together, think about what promos to offer, and what differences there are between stores. Nicola: We have made a point to be so ingrained in the industry, that we are able to leverage our hiring partners to implement real problems into the classroom. That creates a unique learning opportunity, and gives students a taste of the work that they will be doing on the job. Were there any lessons from running BrainStation’s Web Development Program that you’re bringing to the Full-Time Data Science Program? Nicola: Absolutely. Our other full-time programs have been around for three years now, so we’ve learned a lot about structuring class days to maximize student learning and understanding. We’ve also learned what depth and breadth is the sweet spot to ensure students get all the knowledge and tools they need to continue learning and teaching themselves beyond the program. Jeremy: BrainStation has always had a big focus on best practices, so we’ve been able to adapt the existing curriculum around pair programming and version control testing, because the same concepts hold between web development and data science. It has also been helpful for me to talk to the instructors who teach the more established courses. They gave me good feedback about my web development and UI/UX skills. We’ll bring those instructors into the Data Science Program to give introductions into web development, graph design, and how to present analysis. Who are the instructors – are they all data scientists? Jeremy: I’m the lead instructor in Toronto. As well as having industry experience, I have a lot of teaching experience. I worked at the University of Toronto as an adjunct professor of statistics, and I have volunteered to teach coding at three universities and four hospitals around Toronto. 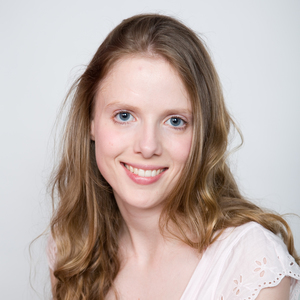 Nicola: The other data science instructor has a background in Computer Science, but has specific experience working in artificial intelligence. He has also been involved in teaching at the University of Toronto. Something we look for in all of our instructors is not only deep domain knowledge, and industry experience, but also a background teaching in an academic environment, or mentoring in a work environment. Nicola: We try to make it difficult for students to fall behind – we’re in tune with our students throughout the program. We have daily one-on-one check-ins, class sizes max out at 30 students, and we have low student-to-educator ratios. We also have supervised labs, where students submit their work for us to assess their understanding. Each week, students work on larger projects with key deliverables, which mirror the industry and how they would work as a team; it gives us a way to track their understanding of the material in an applied setting. For our full-time transformation programs, we also have a Student Success Team comprised of a program manager, student success coordinator, admissions coordinator, and career services, to really help students reach their goals. If a student is falling behind, we provide additional support, structured learning plans, and check in with them regularly, to ensure they can get through the program. How will career services work for the Full-Time Data Science Program? Nicola: We have a pretty comprehensive career services package for all our full-time programs. Students get one-on-one support when it comes to preparing for job applications, creating a resume, portfolio, and practicing interviews. Data science job interviews include technical challenges, so we want to give students a chance to practice this interview process. Mock interviews are conducted by someone outside of a student’s educator team to create a more formal environment, then students get critical feedback before they go to a real interview. From the moment they start at BrainStation, students are encouraged to think about the role that they want and the type of company they want to work for. We have a large network of hiring partners, including companies like HP, Shopify, Loblaw Digital, and companies in different markets, with whom students can interact. Students can go on Tech Tours, where they tour various companies, experience work environments, and talk to people on data science teams to understand what the workflow looks like. Those hiring partners are also present at demo days and our student showcase at the end of our full-time programs. What types of data science jobs will graduates be prepared for? Jeremy: When I was designing this course, I thought, “What will help students be productive Analysts or Junior Data Scientists from day one?” We make sure that students can fill the roles that actually exist in the industry. The whole idea of a bootcamp is that you’ve upskilled, you’ve transitioned your career, you know how to learn, you’ve proven yourself in a very stressful environment, and once we get you into a job you can continue to prove yourself. What sort of companies want to hire data science grads in Toronto and Vancouver? Nicola: Pretty much every industry is looking for data scientists. BrainStation has been operating for five years in Toronto (three years in Vancouver), so we have a great sense of community amongst our hiring ecosystem partners. They come to our student demo days, and BrainStation has proven to be a very good source of talent. Some of those hiring partners, like Shopify, RBC, TD, Freshbooks, Wealthsimple, and HP have already expressed interest in data science graduates. Finance and insurance industries also have a significant need for data science skills, but the demand is across marketing, product, and every industry. When you compare the number of job postings, obviously Toronto is significantly larger in terms of population than Vancouver, but there is not a massive difference when you compare the percentage of demand between the two cities. In Toronto there are a lot of company headquarters, so within those you see huge demand, but the need is across North America. What is your advice for students embarking on a data science bootcamp? Jeremy: First, make sure you’re serious. A bootcamp is a big undertaking, and there’s a lot to learn. Next, start picking up a programming language, put together a website and an online presence – it shows that you’re serious about the field, and you’re willing to learn. Then, if you’re trying to change your career, try to find inefficiencies in your current job. Think about how to approach tasks from a coding perspective, and if you can pick up some Python or R to automate those, you’re on your way to becoming a data scientist. My last piece of advice is, if you come from a scientific, retail, or finance background, make sure you maintain your expertise in that area. At BrainStation we can teach you how to undertake an analytics project and report it, but domain knowledge is always very important. For students who want to get started in data science, what meetups or resources do you recommend? Jeremy: I recommend people check out Kaggle, a data science website where companies post challenges with cash prizes if you place in the top 10. It’s a great way to get a look at the real analytics people are working on. Stack Overflow is a great resource, and has a dedicated data science section where you can get simple and complicated questions answered. There are a ton of data science meetups – you could probably go to one every day of the week in Toronto. We have Machine Intelligence Toronto, which is run by the Vector Institute, an offshoot of the University of Toronto, and Pydata Toronto. There are also a bunch of industry-specific data science meetups run by banks and startups. Nicola: We also have data science events at all of our BrainStation campuses where people can come to learn about the field, try out some questions and challenges, and interact with data science educators. It’s a great way for students to interact with BrainStation and learn something new. Our Data Science Prep course is free to enroll in, where students can learn some essential SQL knowledge, learn about the data analytics process, and get started on an assignment. We also have a number of other free online prep courses in data science. Find out more and read BrainStation reviews on Course Report. Check out the BrainStation website.